Wholesale Handbags #ht1599f Designer Inspired Two Tone Shoulder bag has a metallic texture, a top zipper closure, a single handle and floral details. Made of faux leather. 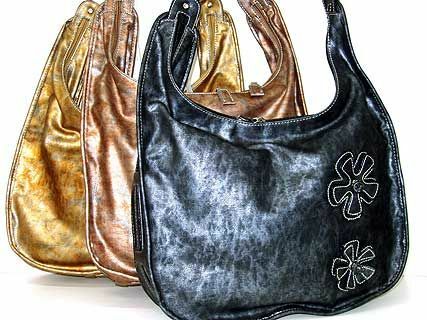 Trendy Two Tone Shoulder bag has a metallic texture, a top zipper closure, a single handle and floral details. Made of faux leather.